MSNBC.com—Rev. 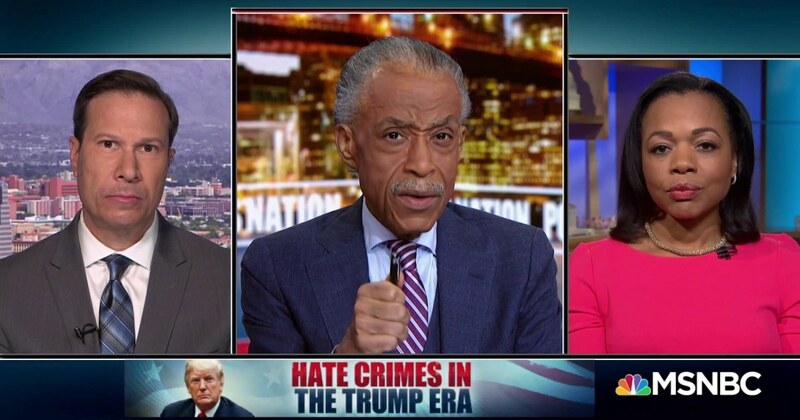 Al Sharpton talks with Frank Figliuzzi and Kristen Clarke about the recent rise of hate crimes towards people of color, and how Trump’s rhetoric has directly influenced it. Nadler at Hearing on 'Rise of White Nationalism Under Trump' Cites Obama Era Hate Crimes. Rep. Jerrold Nadler (D-NY) used a report in his opening remarks on Tuesday at a House Judiciary Committee hearing on hate crimes and the rise of white nationalism in the Donald Trump era that highlighted crimes that took place from 2008 to 2016 — when Barack Obama was president. "The law rolls back provisions of the 1994 Clinton crime law that was so devastating to some many and that disproportionately impacted the African American community," Trump said in a celebration speech at the White House. "Nobody believes how much, and now they understand it." The establishment wants to shut down Infowars because we cover the news they're afraid to touch.